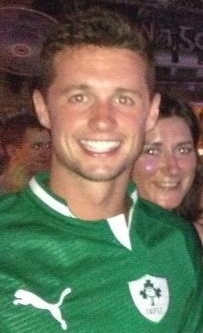 Iain is a 29 year old Dublin native with a self-confessed love for all things Irish... and boyband music of course. A Michael Smurfit Business School graduate in International Management and part of the CEMS programme, his love for Ireland was cemented having lived in both Spain and Mexico for 3 years with no access to a 3-in-1 curry the whole time. A keen fan of craic and the odd tipple; he hopes The Wirld can open the eyes of many young people abroad to the opportunities that lie in Ireland and will do his utmost to encourage them to travel to Ireland in the future. Sure the craic will be mighty! Chris is a 29 year old Kildare boy who is commonly found throwing some bad shapes on the dance floor or cursing another woeful Ireland performance on the TV. An engineering graduate from Dublin City University, he found his calling to the vocation of Ireland representative following a 4-0 rout against the Spanish in Gdansk and roaming the streets in the early hours. A great man for a joke and a dated dance move, Chris joins The Wirld with the main aim of instilling the Father Ted dictionary world over! "Those are fake hands!" Kevin is a 29 year old native with distinct origins from somewhere in between Dublin and Kildare. His love of his country comes from 5 years spent enjoying the beaches and pub snugs of the west coast of Ireland, while he was a student at the University of Limerick. Kevin joins The Wirld with the ulterior motive of completing a photo album of people wearing T-shirts with random numbers on them, ranging from 1-100. I'll have what they're having! 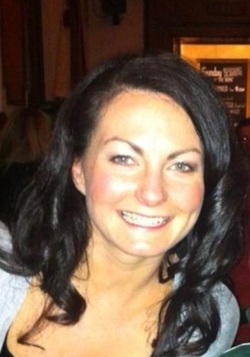 Caitriona is a 29 year old fun seeking, sport loving adventure chick who likes to continuously correct bad grammar. A sports science graduate of Dublin City University with a keen passion for all things GAA but don’t hold that against her, she really is a nice girl. She is a consummate chef and a daring woman in the kitchen - give her loaf of bread and butter and she will make you the finest fajitas dish your lips will every taste. We haven’t sugar coated this, she’s just that good. Winner of the “soundest girl ever “award as nominated by her friends and family. Only her inability to conquer a hangover stops her from being the complete Renaissance woman. Susan is the original sweet and innocent girl next door. 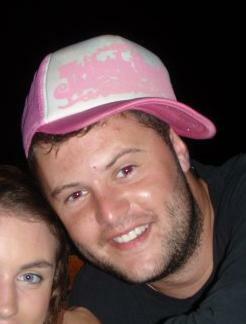 This 29 year old hails from Meath but is a city slicker at heart. Susan is unassuming, appreciative of life and always up for the adventure. Unable to make a quick decision she can be found currently humming and hawing in Scotland. Living in Edinburgh the last ten years has only enhanced her funny wit and charm. She is sports mad, completing a degree in Sports Science and Health in DCU, and is annoyingly a natural at any sport put in front of her. Sue is always up for the craic, and always has a bobbin on her wrist incase her hair acts up (she imagines this! ).